I’ve been painting along the Connecticut shoreline for several years. What I love about painting is the total engagement in the process, the heightened awareness, complete focus, and the sense of purpose and fulfillment that it gives. It’s a challenge to embrace the uncertainty of not knowing how a painting will develop or how I’ll get to the end, but I’m always excited to see what reveals itself as I proceed. Many artists call it “dancing” with the work—making a mark, being open to what it says or means in the overall work, and then responding to it with another mark. I’ve learned an enormous amount over the years from design classes and critiques with Connecticut artist John Massimino. I also studied with Joann Ballinger at the Lyme Art Association, working in soft pastels. For several years I painted mostly in oils and oil pastels. More recently, in separate classes with Lenny Moskowitz and Sheila Kaczmarek, I’ve been exploring new ways of seeing, thinking, and working, and different techniques and mediums, including acrylics, collage, and mixed media. 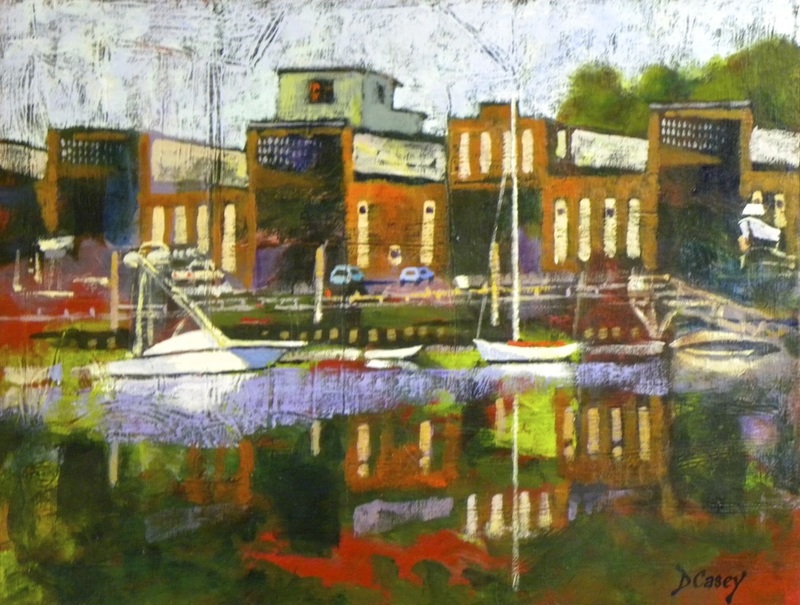 ​There’s a wonderfully supportive community of artists along the Connecticut shoreline. I belong to several local art societies, which sponsor exhibits and art fairs, plein air sessions, studio painting, friendly informal critiques of each other’s work, and demonstrations by regional professionals. 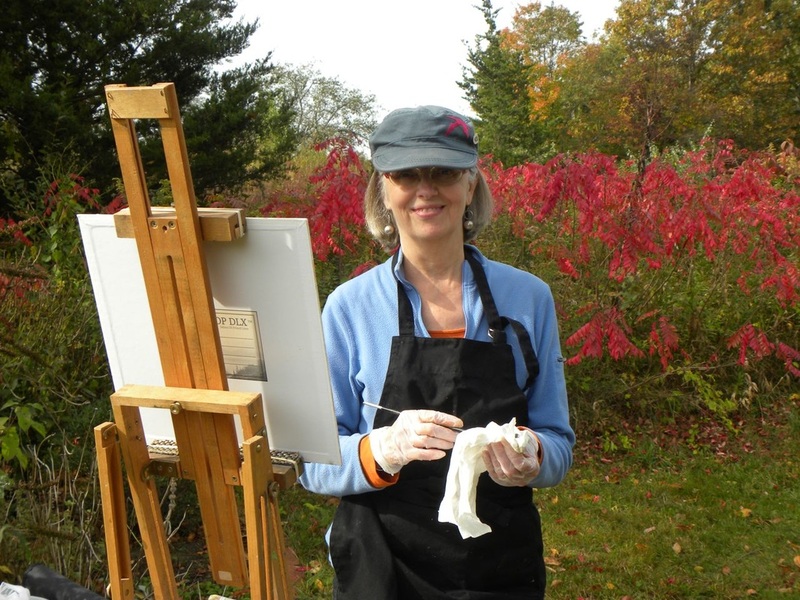 I serve on the boards of the Madison Art Society and Guilford Art League and am also a member of the Lyme Art Association, Essex Art Association, and Clinton Art Society. it is more than the process of creating those things. to discover deep, rewarding patterns of meaning." ​Here are some plein air paintings from summer 2016. Our outdoor painting groups visited some beautiful locations. I will be having a show of 20 paintings at the Willoughby Wallace Memorial Library, February 5–28, 2017, in conjunction with photographs by Alan Shulik. The library is located by 146 Thimble Islands Road, Stony Creek CT 06405.